Anaesthesia is a very important part of veterinary practice and modern anaesthetic techniques in both human and veterinary medicine have made anaesthesia much safer for patients. 2. Induction of anaesthesia by use of an intravenous drug administered through an indwelling catheter. This drug provides a rapid and smooth induction of relatively short-acting general anaesthesia which allows placement of a plastic (endotracheal) tube into the windpipe. 3. Connection to a gaseous anaesthetic machine which delivers an accurate concentration of an anaesthetic gas mixed with oxygen to the patient through the endotracheal tube. This gaseous anaesthesia allows general anaesthesia for as long as is required for lengthy procedures and then provides relatively rapid recovery once the anaesthetic is turned off off. 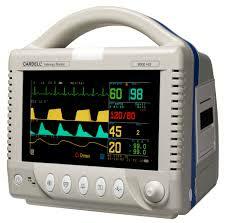 These is continuous use of monitoring equipment during the anaesthetic period via pulse oximetry, blood pressure measurement and respiratory sensing.